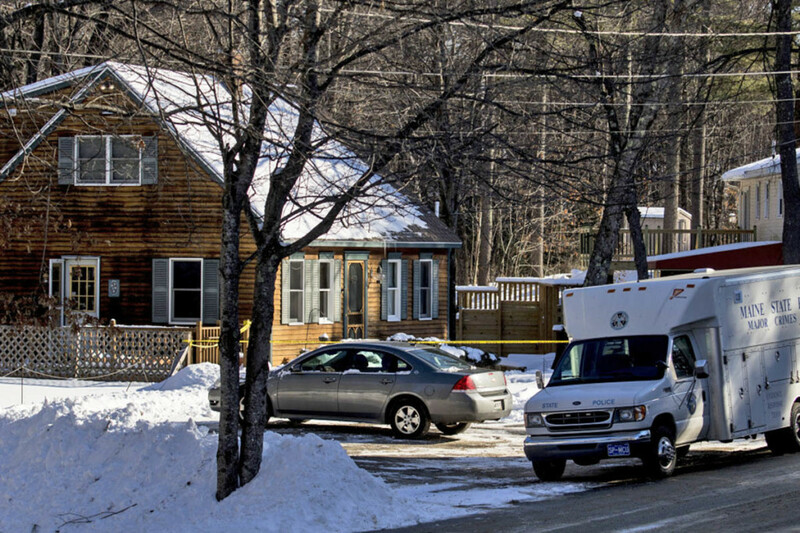 A Windham man charged with murdering his wife gave “inconsistent statements” to police after he shot and killed her in the predawn hours of Jan. 14. Noah Gaston first told police that he mistook his wife for an intruder, but upon further questioning police doubted that claim, according to a detective’s affidavit obtained Monday. Gaston, 33, is scheduled to appear Tuesday morning in Cumberland County Unified Court on a charge of murder in the death of his wife, Alicia Gaston, 34. Gaston was identified as the shooter from the beginning, but he was not charged until Friday. Court documents reveal that police detectives don’t believe Gaston’s account of what happened, specifically that “Noah Gaston provided inconsistent statements as to the location of his wife” before she died. According to the affidavit, written by Maine State Police Detective Ethel Ross, Gaston called 911 about 6:15 a.m. on Jan. 14. He told the dispatcher that he had shot his wife in the stomach and she wasn’t breathing. He said his wife had gotten up “super early” that day and he mistook her for an intruder. Gaston was giving his wife CPR when police arrived at the home on Brookhaven Drive, just off Route 302. He told police that he awoke to noises and grabbed his gun, a 12-gauge shotgun. He said it was unloaded and that he loaded a shell before heading downstairs. Gaston said that he believed his wife was still upstairs in bed when he saw a figure at the bottom of the stairs and fired. Gaston first told police that his wife was in the middle of the stairs when he shot her, then later told them that she was at the bottom of the stairs. Gaston also repeatedly told police that he and his wife had not argued before the shooting. However, police interviewed the couple’s two daughters, ages 8 and 9, both of whom said they heard their parents arguing. The 8-year-old also told Ross that “she saw the gun on the floor in the hallway and smelled what she described as smoke and blood,” the affidavit said. Both daughters, along with a 2-year-old son, are now staying with relatives. Alicia Gaston’s family did not respond to a call and email seeking comment. The Gastons lived for several years on Flaggy Meadow Road in Gorham and were house-sitting at the Windham house, according to a neighbor who lived next door to them in Gorham. Neighbors at the apartment complex in Gorham said Alicia Gaston home-schooled their children. An online resume posted by Noah Gaston showed he recently worked at the New Morning Natural Foods market and cafe in Biddeford and had previously been executive chef of the 91 South restaurant at the PineCrest Inn in Gorham. The family was said to be active at church and drew friends from the congregation. Facebook pictures showed the couple hiking in New Hampshire and happily embracing their children. A gofundme.com page was set up last week to help support Alicia Gaston’s family. The page had a goal of $3,000, and $7,830 had been raised by Monday afternoon.